One of the writing classes I’m taking had a forum discussion where writers posted some of their most prominent worries when it comes to their novels, and one of the questions posted really struck me: the writer felt like their fantasy story was whisking from one location to the next too quickly. The reader, they worried, would get whiplash zooming around their fantasy map, seeing too many locations without any one of them leaving a deep impression. Cue me quietly sweating onto my keyboard, because this is the realest concern, for any fantasy writer. * Is this … not … a normal plot point for any novel? But, sometimes, we writers can get carried away. It can be fun, and fruitful for your story, to take your characters on a dizzying roller coaster ride across your fantasy map. But how do you know when you’re taking your readers on too dizzying a ride? How do you keep that fantasy map from becoming one big, confusing, smeary blur in your readers’ heads? Keep your fantasy map from dizzying readers by giving each location emotional and story significance for your characters. Your character, especially in a quest or journey-based fantasy novel, shouldn’t just be walking through a sideways scrolling sequence of set dressings. Every location you showcase in your story should be there for a reason. As far as I can tell (and I am by no means an expert on this), the trick is to make sure the locations have emotional context for the characters, and to root your settings in your story’s plot. Make your locations matter, in other words, to both your characters and to the story at large. They all have a clear purpose related to the story. A lot of importance is placed on the first lines of novels, and for a writer trying to get their work published, there is no shortage of pressure heaped onto the opening line. There is a lot of pressure on a novelist to write a perfect first chapter. These words, these scenes, these ten or fifteen pages will be the first impression a prospective agent, editor, or reader will have of your novel, and you want to make them count. 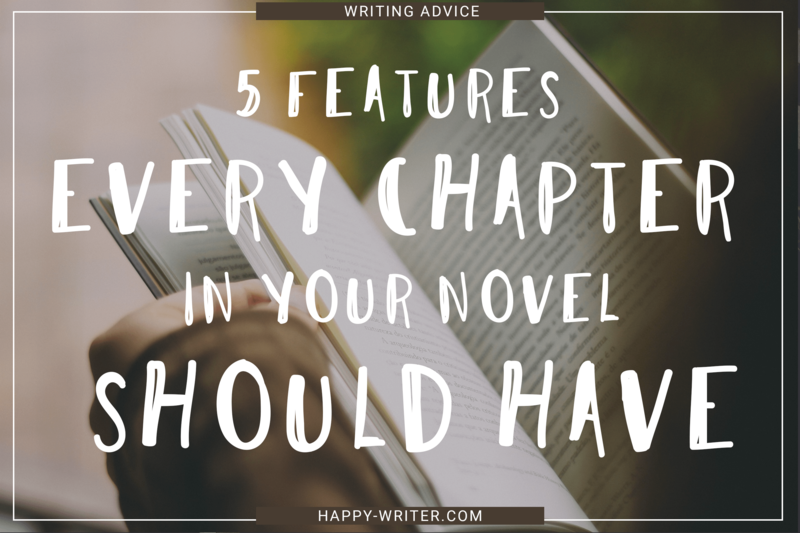 So, the question begs — what makes a good first chapter? What should the beginning of my story accomplish? The short answer: your first chapter needs to set the scene, introduce the main character, introduce the conflict, and lead to the trigger/inciting incident of your story. What does all that entail? Let’s get into it. So, we’re deep in the thick of it for NaNoWriMo (Become my Buddy!) and, by now, we’re all probably feeling a tad overwhelmed by the task we have set for ourselves. You might be feeling you’ve bit off more than you can chew with NaNoWrimo — or, in fact, with any of the writerly goals you’ve set yourself this month. What is the answer? How can we set goals for ourselves, shoot hit, but not get overwhelmed at the same time? I’m constantly gripped with guilt over the amount of writing I haven’t done — and very rarely do I remember to feel proud for the work I have put down. Before you beat yourself up for not reaching whatever goals you have set for yourself, consider — it might be your goals, not your writing, that are the problem. We all have those books that make us write better. The books we turn to when our creativity tank is running on fumes. The books that make us want to write. The books that made us feel like writing was possible. I wanted to share five writing lessons I’ve learned from one of my favorite book series, Harry Potter. JKR’s fantasy series is lusciously liberal with description and teeming over with amazing characters; it’s no wonder that this is a book series that readers return to time and time again. Can writers learn something from JKR’s crafting of the Wizarding World? What are some of the elements of Harry Potter that make it so inherently, and insatiably, readable? In case you’re wondering, yes, I’m still nostril-deep in revisions for my WIP. As I’m revising, I find myself taking the story on chapter by chapter, and really examining the ways in which I can make each individual chapter satisfying, exciting, and, most importantly, contribute in a vital way to the plot overall.